Being diagnosed with prostate cancer can make you feel panic-struck and terrified. When you have been presented the results of your tests, exams, and biopsies, you probably did not even consider having cancer. That is why you and your family may be confronted with negative thoughts and even depression. There are, probably, many questions coming up in your mind, such as: What should I do next? How can I find the best treatment? Who can give me the best advice? If you are a friend or a relative of someone who was diagnosed with prostate cancer, you probably wonder: How can I help? How can I provide emotional and practical support? First of all, you need to understand what is exactly causing emotional distress and anxiety. Prostate cancer is usually causing bothersome symptoms that may be hard to cope with. This disease may cause extreme tiredness that is generally leading to depression and social isolation. 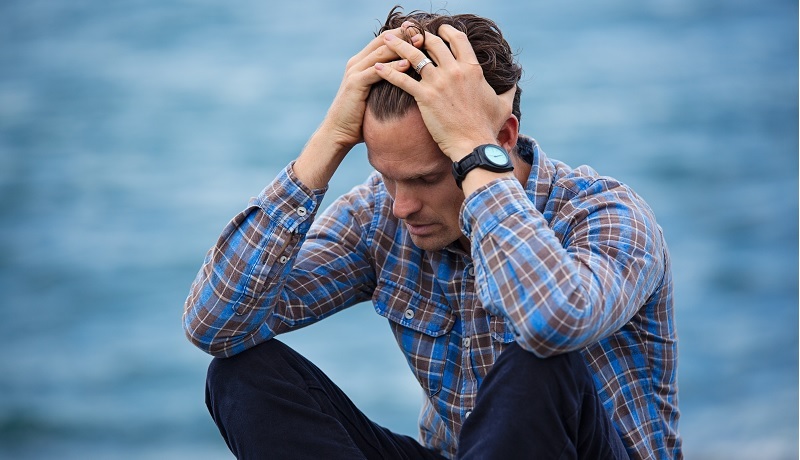 The process of finding the best treatment may leave you physically and mentally exhausted and the uncertainty of the treatment’s results may lead to even more worries. You may feel like you have to carry your burden alone, to spare your family and friends the negative feelings you experience. This is the moment you need to remember that optimism is an important factor that influences treatment’s success. Do you really have reasons to be optimistic and regain your hope for the future? Yes, you have! Even if your diagnosis shows that your cancer is severe and advanced, you need to know that there are new and effective treatments that can deliver optimal results. The most famous and effective prostate cancer surgical treatment is now the Da Vinci Robotic Prostatectomy, which is minimally invasive and less traumatic. Get informed about the Da Vinci Robotic Prostatectomy’s advantages and you will find many reasons to maintain your optimism. Usually, after undergoing a prostate cancer treatment, men experience side-effects that are physically and mentally hard to bear. They may have to cope with erectile dysfunction, which highly affects their sexual life. If this is the case, the patient’s partner may become anxious and dissatisfied with their quality of life. Also, urinary incontinence is experienced by many men during their recovery process. This problem is considered one of the biggest problems men need to deal with. Urinary incontinence may lead to social isolation and the couple is usually prevented from resolving their normal life. It is very important to know that during the Da Vinci Robotic Prostatectomy patients’ delicate prostate nerves that control bladder and sexual function are spared. This treatment provides a shorter recovery period with fewer side effects. This results in a superior quality of life and better physical and emotional health. If you are now in the process of deciding upon the best prostate cancer treatment, consider the advantages offered by the Da Vinci Robotic Prostatectomy and spare yourself the negative side-effects of other treatments that can cause anxiety and depression. If you suffer from a persistent mood disorder, there is nothing wrong with seeking medical attention. Talk to your doctor about your feelings. Confide your feelings to a close friend. You have probably considered, for a while, that keeping your feelings for yourself is the best option, but now is the time to express yourself and enjoy the sense of relief. Express your thoughts in writing. If you do not feel at ease with talking to someone, keep a journal. This may help you understand your own feelings and discover if your fears are real or imaginary. Contact a prostate cancer support group or organization. This is where you can meet people struggling with the same problems as you do. Include physical exercises and a healthy diet in your daily routine. Always remember, prostate cancer diagnosis is not that terrifying as it may seem to be. There are new and advanced technologies, such as the Da Vinci Robotic Prostatectomy or the SMART surgery, with a high proven success rate. Benefit from professional advice and talk to people who succeeded in fighting this disease. If you want to assist a prostate cancer patient, be compassionate and try to understand the sufferer. Listen before providing the solutions. Your help is surely highly treasured!